Oxfordshire ( or ; often abbreviated Oxon from Oxonium, the Latin name of the city and county of Oxford) is a county in England. It is in the South East England region and borders Warwickshire (to the north/north-west), Northamptonshire (to the north/north-east), Buckinghamshire (to the east), Berkshire (to the south), Wiltshire (to the south-west) and Gloucestershire. The highest point is White Horse Hill, in the Vale of White Horse (historically in Berkshire), reaching 261 metres (856 ft). Historically the area has always had some importance, since it contains valuable agricultural land in the centre of the county. Largely ignored by the Romans, it was not until the formation of a settlement at Oxford in the 8th century that the area grew in importance. Alfred the Great was born across the Thames in Wantage, Vale of White Horse. The University of Oxford was founded in 1096, though its collegiate structure did not develop until later on. The university in the county town of Oxford (whose name came from Anglo-Saxon Oxenaford = "ford for oxen") grew in importance during the Middle Ages and early modern period. The area was part of the Cotswolds wool trade from the 13th century, generating much wealth, particularly in the western portions of the county in the Oxfordshire Cotswolds. Morris Motors was founded in Oxford in 1912, bringing heavy industry to an otherwise agricultural county. The importance of agriculture as an employer has declined rapidly in the 20th century though; currently under one percent of the county's population are involved due to high mechanisation. Nonetheless, Oxfordshire remains a very agricultural county by land use, with a lower population than neighbouring Berkshire and Buckinghamshire, which are both smaller. Oxfordshire County Council, currently controlled by a Conservative Independent Alliance, is responsible for the most strategic local government functions, including schools, county roads, and social services. 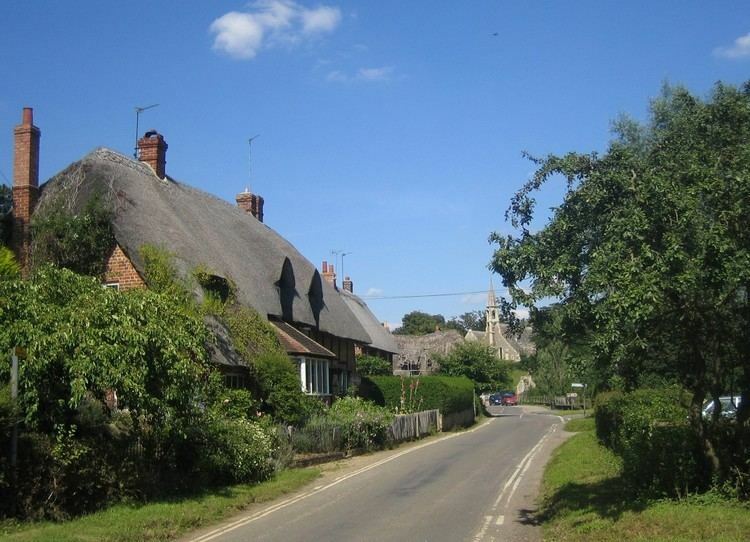 The county is divided into five local government districts: Oxford, Cherwell, Vale of White Horse (after the Uffington White Horse), West Oxfordshire and South Oxfordshire, which deal with such matters as town and country planning, waste collection, and housing.